Visibility is a big concern for anyone who rides a bicycle at night. Generally speaking, the more lights, the better when it comes to safety. 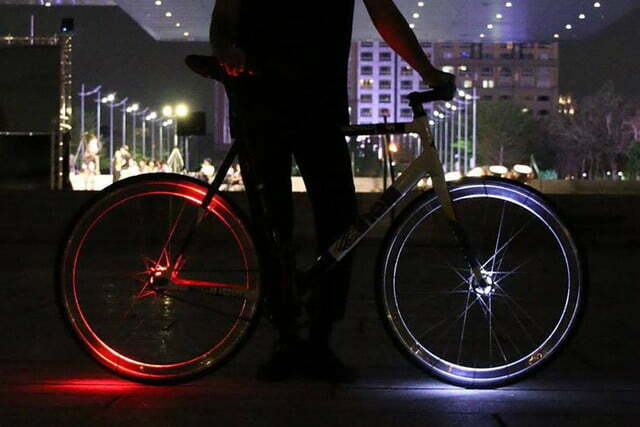 The Wheely bike light is a small and lightweight way to make a bicycle stand out. 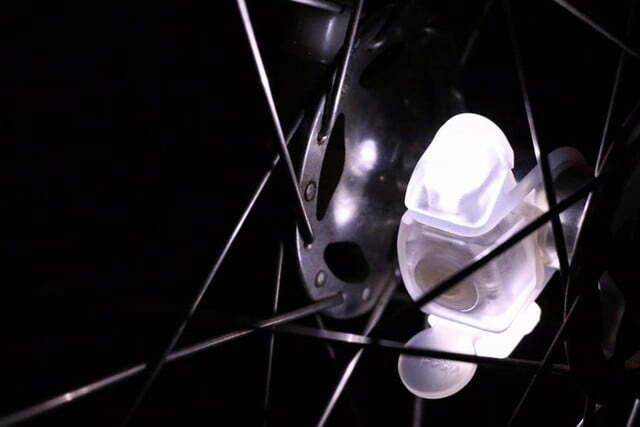 As the name suggests, Wheely is a bike light designed to attach to the hubs of both wheels. While small, the lights work by illuminating the surface area of the wheels, offering 360-degree visibility. This lighting solution makes Wheely more effective than other available products. 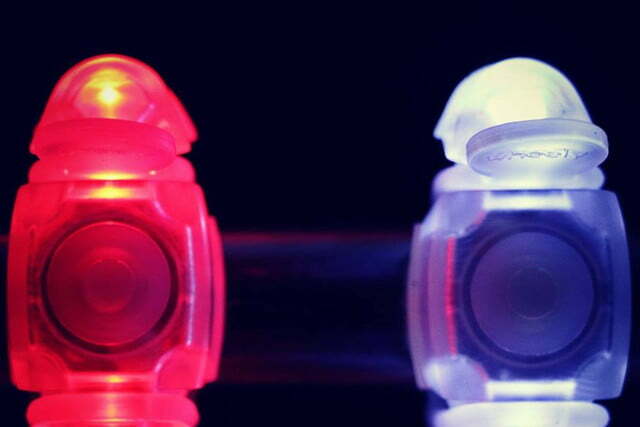 Most commonly, bike lights attach to the handlebars, front stem, seat posts, or saddle. These lights can be incredibly bright, but they only offer visibility from certain angles, thus reducing their effectiveness for cycling safety. Wheely isn’t meant to completely replace these existing lights. They aren’t bright enough to light up a rider’s path in the dark. 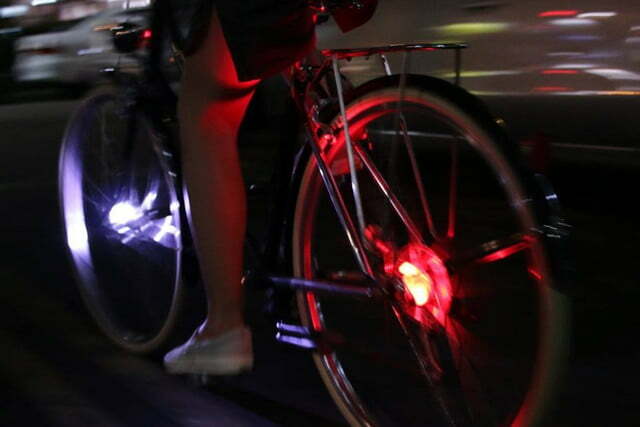 Instead, Wheely is meant to work in tandem with existing lights to get rid of any blind spots. Attaching a Wheely bike light is simple. The design itself offers a tool-free installation. 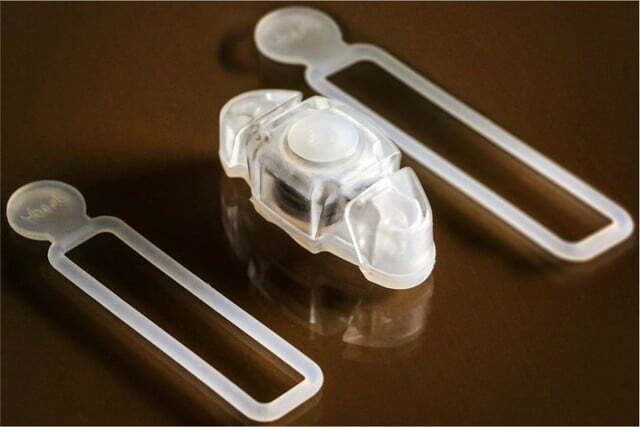 If the included elastic band ever deteriorates, it can be easily swapped out with another. Each light is IP4 waterproof, meaning splashes or rain from any direction should not penetrate the casing. 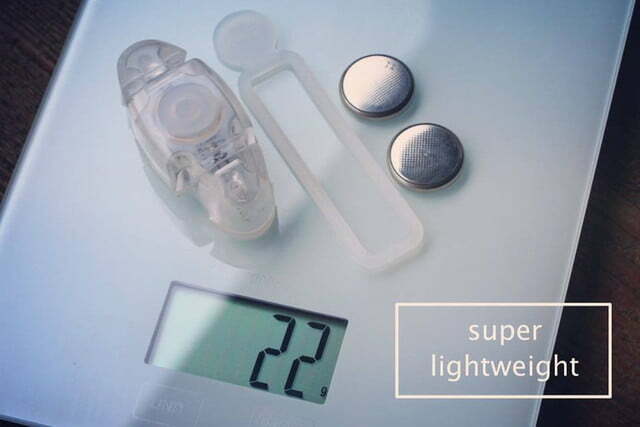 Depending on preference, the lights can cycle through three different modes: Constant, blinking, and pulse will last a battery 16, 28, and 45 hours respectively. Disposable batteries are recommended for the best performance. Wheely bike lights fit most wheel hubs. Even bigger hubs like internally geared or dynamo hubs work by attaching a second light. And for those worried about theft, the slim, undistinguished design will help the lights go unnoticed. For anyone interested, Wheely is available for pre-order through Kickstarter. One one or red light costs approximately $15 after conversion. A complete set can be purchased for the discounted price of $22. Production begins this July with shipments going out in September after testing, quality control, and assembly.